Since they were first established in the UK in 1964, credit unions have becoming increasingly popular so that there are now over 300 different ones in England, Wales and Scotland. Over more than 5 decades, they have offered their financial services to over 1.3 million people. The objective of a credit union is to encourage their members to use money wisely. One of the cornerstones of their philosophy is to promote the habit of saving regularly so as to avoid costly loans. This is achieved through standard savings accounts as well as more specialised financial products such as children’s savings accounts or ones to put by money for Christmas. Apart from emphasising the importance of saving, some credit unions also offer budgeting and debt management advice for any of their members who have faced – or are facing – problems with poor financial decision-making in the past. Although credit unions often impose limits on how much money someone can save (usually up to £10,000-£15,000), all members are offered the same financial protection as they are by mainstream banks and building societies. Regulated by the PRA and FCA, each member’s savings account comes under the protection of the governmental FSCS (Financial Services Compensation Scheme) which has a maximum limit of £85,000. As a credit union is owned by its members, it doesn’t have to pay out dividends to its shareholders and can act as a non-profit-making enterprise. Instead of offering those with savings a standard interest rate, it offers dividend rates at the end of the year. This rate can vary from year to year, but is usually around 1.3% depending on the size of the credit union, and how much has been ploughed back into it to improve the services it offers. Small loans of £50-£3,000 are also available although some credit unions might stipulate that the borrower holds a savings account with them before approving a loan. They have no charges for paying off a loan early, and the loan usually comes with free life cover so any outstanding loan is automatically repaid in case of death. To become a member of a credit union, you must share a ‘common bond’ with the other members. This could take many forms: living in the same area, working for the same employer/profession or could concern a shared interest. Once you’ve joined, you can remain a member even if your circumstances later change. For example, you move or get a new job. One problem that some people have is finding a credit union for which they are eligible. If you aren’t eligible and are in urgent need of cash to tide you over, high acceptance payday loans direct lenders can often be the answer you’re looking for. With their streamlined and fast online application, you don’t have to wait long until the loan has been deposited into your account. Credit unions have many benefits, but they aren’t always available for everyone. 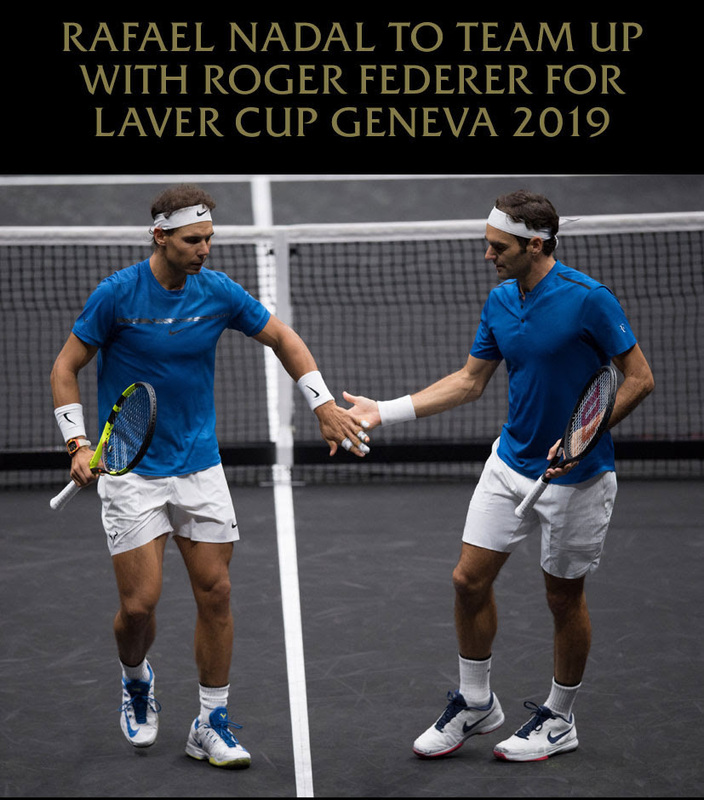 Spanish superstar Rafael Nadal will join Roger Federer for the highly anticipated third edition of the Laver Cup to be held in Geneva, Switzerland from 20-22 September, 2019. The news is a major coup for Bjorn Borg’s Team Europe as it looks to build a team to defend its unbeaten record. Tickets will go on sale to the general public in early February, with a variety of Premium Hospitality Ticket packages available from today. Federer and Nadal, two of the greatest players and strongest rivals of all time, joined forces for the inaugural Laver Cup in Prague in 2017, famously playing, and winning, a memorable doubles match together. Team Europe captain Bjorn Borg is understandably delighted to name both Federer and Nadal as he aims to build the strongest possible Team Europe for 2019. 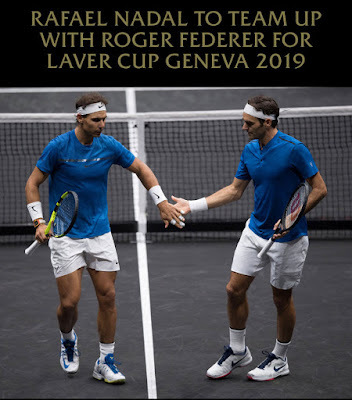 “It doesn’t get much better for a captain than naming both Roger Federer and Rafael Nadal for the Laver Cup in Geneva,” Borg said. “Bringing together two of the greatest players, and rivals, the sport has ever seen together on one team is very exciting for our sport – and will give us the best possible chance to win the Laver Cup three years in a row. “At the first Laver Cup in Prague, with both Roger and Rafa on the team, we knew it would be very special, bringing together two such great champions. But I think we all underestimated how powerful it would be to see them sitting side by side, coaching each other and cheering each other on, along with their teammates from the player bench. “We saw again the same special moments in Chicago, and how much this event means to the players. I can’t wait to see how the Laver Cup unfolds in Geneva as Team Europe regroups to defend our title,” Borg said. Roger Federer also has his eye on a third Laver Cup trophy as he looks forward to the event coming to his home country of Switzerland. 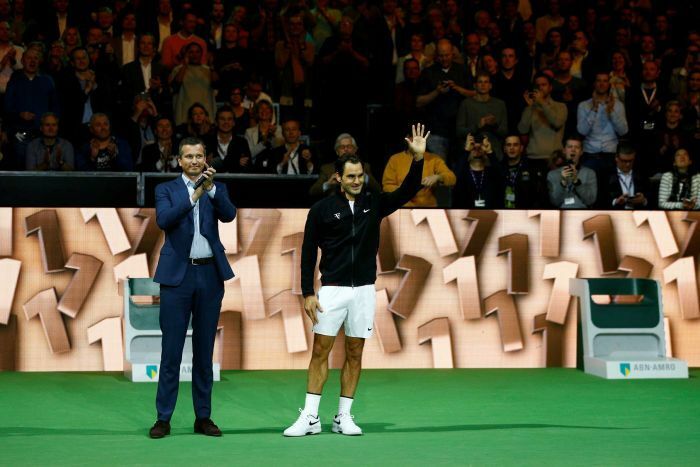 “We’ve all been blown away by the success of the Laver Cup, which in just two years has become so special to all the players who’ve been involved from both teams. “I’m excited Captain Borg has named both me and Rafa to the team. We had a lot of fun in Prague and it will be very special for me to team up with him again in Switzerland to try and defend our title. Nadal is also looking forward to re-joining Team Europe. “I’m looking forward to playing the Laver Cup in Geneva next year and am very excited to be named to the team by our captain Bjorn Borg. I will do my best to live up to the great performances we had in Prague last year,” Rafael Nadal said. Since its inception two years ago the Laver Cup has established itself as one of the most prestigious tennis events in the calendar, bringing together top-class tennis and entertainment with premium sponsors and hospitality offerings to create a unique spectacle for sports fans around the globe. The three-day tournament pits six of the top male tennis players from Europe, captained by Bjorn Borg, against six of their counterparts from the rest of the world, led by John McEnroe, and has sold out stadiums in Prague and Chicago to date. Named in honor of Australian tennis legend Rod Laver, the event will be played in a specially constructed 17,000-seat arena at the Palexpo in Geneva on a dramatic black court. Fans will be able to soak up the unique atmosphere as rivals become teammates through a range of ticket options, including multi-session tickets offering the same seat to all five sessions, single session tickets and a variety of hospitality experiences. Full details of all hospitality packages, pricing and how to purchase can be found at LaverCup.com. Multi-session tickets, excluding hospitality, will go on sale in early February 2019, with a limited number of single session tickets to follow. Prices for multi-session and single session tickets will start at $250 and $25 respectively. Register at LaverCup.com for more information and to receive updates on ticket sales. The Women’s Tennis Association (WTA) announced today that Angelique Kerber has qualified for the 2018 BNP Paribas WTA Finals Singapore presented by SC Global, set to take place from October 21-28, 2018. The German becomes the second player to secure her spot at the $7 million year-end event, joining Simona Halep who booked her spot in August. A former WTA World No.1, Kerber has enjoyed a stellar campaign to date, highlighted by winning her third Grand Slam singles title at Wimbledon. Having also reached the semifinals at the Australian Open and quarterfinals at Roland Garros, she is the only player this season to reach the final eight in the first three Grand Slams of 2018. Kerber started her 2018 season by lifting the Sydney International trophy and also made back-to-back quarterfinal showings at the BNP Paribas Open (Indian Wells) and Miami Open. With 42 match wins this year, Kerber has won 40 or more matches in six of her last seven seasons. 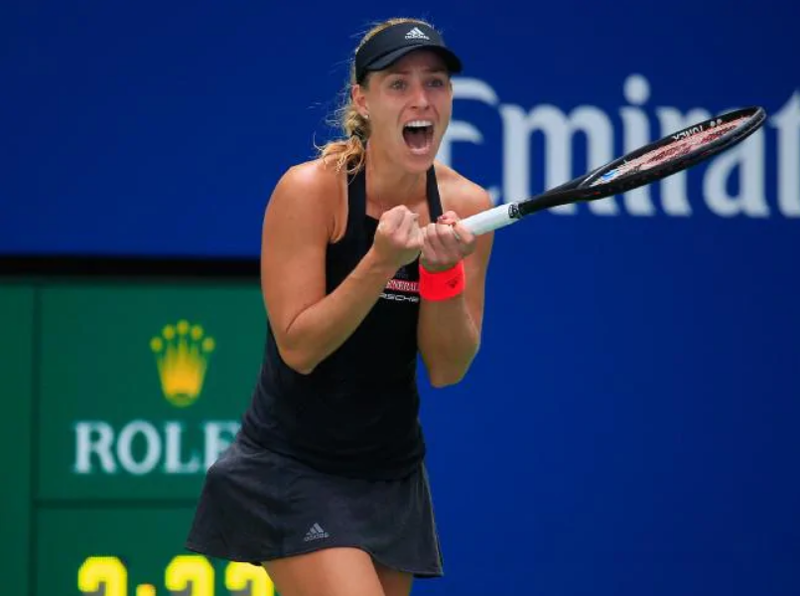 Kerber has secured her fifth qualification at the WTA Finals, most recently appearing in 2016 when she posted a 3-0 record in the group stage and reached the final, falling to Dominika Cibulkova in the championship match. Her first two appearances at the year-end event were in Istanbul, Turkey, in 2012 and 2013, and also Singapore in 2015. Staged at the Singapore Sports Hub from October 21-28, the 2018 BNP Paribas WTA Finals Singapore presented by SC Global is a 10-day tennis festival featuring the world’s best players vying for a US$7 million in prize money and two of the most prestigious titles in women’s tennis. The Top 8 singles players will compete in a round-robin format with the winner taking home the Billie Jean King Trophy. The Top 8 doubles teams will compete in a knock-out format for the WTA Finals Martina Navratilova Trophy. The winner of the Porsche Race to Singapore - the player who sits at No.1 in singles leading into the WTA Finals - will not only seal a spot at the season-ending showpiece, but also be congratulated with a new Porsche 718 Boxster GTS. 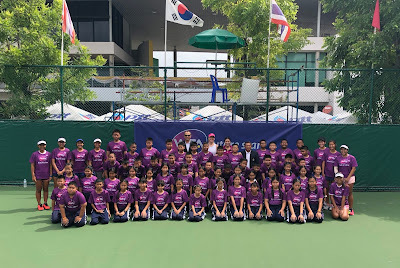 WTA Legend and hometown hero Tamarine Tanasugarn welcomed back the WTA Future Stars in Bangkok, Thailand, today as she introduced 50 children aged 10-12 years from a local primary school, the Preedavittaya School, to tennis for the first time in a series of fun basic activities and drills. 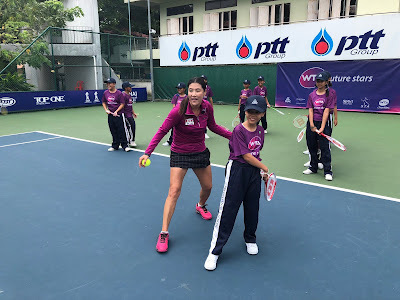 “Over the last four years, the WTA has built a strong foundation in the Asia-Pacific through the WTA Future Stars initiative, which has been an integral part of raising awareness on tennis and the WTA Finals in the region. The WTA Future Stars was launched alongside the first edition of the WTA Finals held in Singapore in 2014, and we have since gone on to conduct clinics and masterclasses in China, Hong Kong, India, Indonesia, Philippines, Malaysia and Singapore. 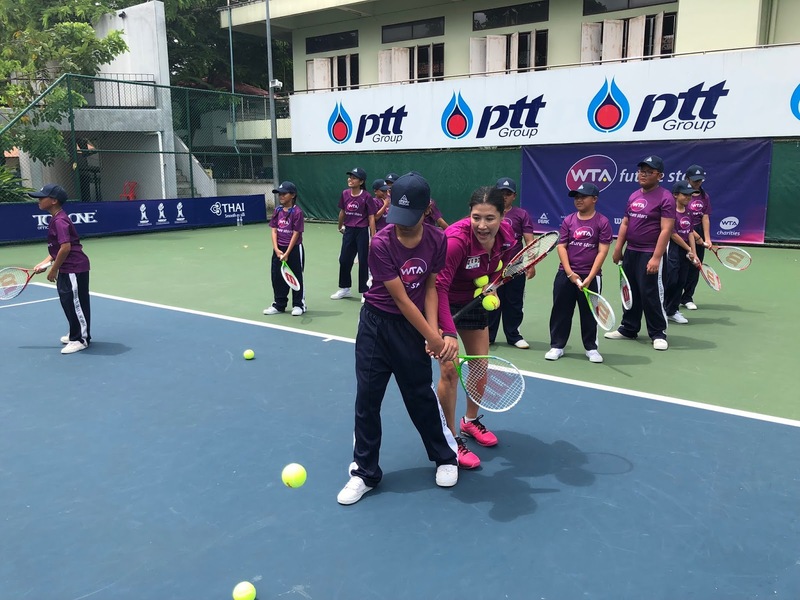 Working closely with our WTA legends like Tamarine Tanasugarn, the WTA Future Stars outreach is aimed at highlighting how sport is great way for young boys and girls to develop beneficial life skills that will help them to achieve whatever goals they may set for themselves,” said Melissa Pine, Vice President of WTA Asia-Pacific and Tournament Director of the WTA Finals. The WTA Future Stars Clinic is part of a regional platform to promote tennis among children throughout Asia-Pacific and includes the WTA Future Stars Tournament where each country sends two representatives to compete in the U14 and U16 categories respectively. Launched in 2014 when the WTA Finals was first hosted in Singapore, the WTA Future Stars tournament started with 12 countries, and in 2018 will bring together players from 21 markets in the Asia-Pacific region. The WTA Finals, which is the crown-jewel of the WTA calendar, will take place in Singapore from October 21 – 28 2018 where the best in women’s tennis will compete for the year’s biggest prize purse of US$7 million. Players accumulate points throughout the season and the top eight singles players and doubles teams on the Porsche Race to Singapore Leaderboard then compete in the season finale at the Singapore Indoor Stadium. Get the Pimm’s chilling and crates of strawberries ready as Wimbledon fever takes over. Tennis fans are invited to join in the summer Grand Slam festivities and enjoy free pints and snacks at the BNP Paribas WTA Finals Singapore presented by SC Global Wimbledon Women’s Finals viewing party, on 14 July 2018 at Harry’s Bar, Boat Quay. Fans can catch the exciting Wimbledon Women’s Finals match live, test their tennis knowledge by joining the trivia, or participate in a lucky draw. 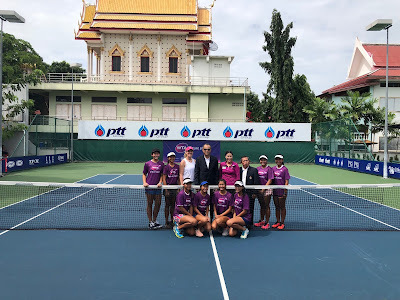 Prizes include VIP hospitality passes to Racquet Club, exclusive access to the Aces Lounge, as well as match tickets to catch the greatest in women’s tennis live at the WTA Finals Singapore. Fans dressed in their best Wimbledon whites can also participate in a best dressed competition, and walk away with a racquet autographed by past WTA Finals Singapore qualifiers. Interested fans can form teams of six and register here. (Seats are limited and registration is on a first-come-first-serve basis). The final edition of the BNP Paribas WTA Finals Singapore presented by SC Global takes place from 21 to 28 October 2018 at the Singapore Indoor Stadium. The WTA Finals is the crown jewel of the WTA calendar, where the world’s greatest eight Singles players and Doubles team battle it out for the US$7 million prize purse and prestigious Billie Jean King and Martina Navratilova Trophy. For more ticketing information, please refer to ANNEX A or visit www.WTAFinals.com. Rafael Nadal is finally back from his hip injury by training for the upcoming Davis Cup match against Germany. 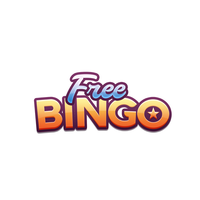 While I bet you are going to enjoy the online live streaming of the match, feel free to also check out Dreamz.com if you're up for a thrilling session of online casino. 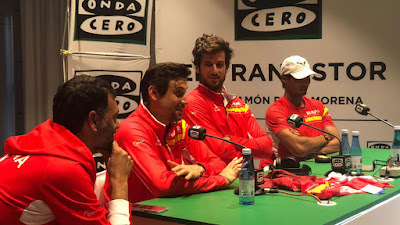 After the 10-time French Open champion dethroned arch-rival Roger Federer from the number one spot, Nadal started training again under the direction of Spain captain, Sergi Bruguera alongside with his fellow compatriots David Ferrer, Feliciano Lopez, Roberto Bautista and Pablo Carreno Busta. Nadal, who just completed his first training at the iconic Plaza de Toros de Valencia, could be playing when the two countries meet from April 6-8. Spain defeated Great Britain in the last round of the competition to reach this stage of the Davis Cup. By returning to the top spot in the ATP ranking, it will certainly boost Nadal's confidence a little bit more. I do not mean to jinx him but it seems like every time he reached the no.1 rank, he could go on to finish the year as the no.1 ranked player. Meanwhile, Roger Federer who had an amazing run in 2018, will not be competing throughout the entire clay court season. With just 100 points behind Nadal, and no points to defend, it seems like the perfect plan for Federer. As for Nadal, he couldn't afford to make any error. A small slip by Nadal's side would make the Swiss maestro the top-ranked player again. Nadal has been out of action since the Australian Open quarterfinal match in January. Great news to all Andy Murray fans! The former world no. 1 and current British no. 2 is set to make a return to the ATP Tour in June after revealing his plan to play at the Libema Open in the Netherlands this June. This will be his first event since a hip surgery in January and after missing from the tour for 11 months. 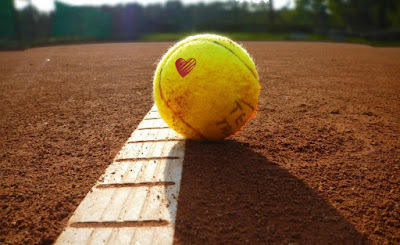 The grass court tournament in Rosmalen, which is formerly known as the Ricoh Open, will take place from 11 to 17 June. With that, it means Murray will miss the entire clay surface. The ATP250 event that he's planning to take part is the week right after the French Open. It will be a warm up tournament for Queen’s, where he has won a record five times, and which will serve as his main and only preparation for Wimbledon. Currently, Murray is stepping up his rehabilitation by practising at Patrick Mouratoglou's Tennis Academy near Nice, France. 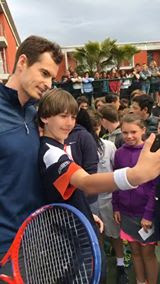 On social media he has posted a photograph of himself on the court hitting with Aidan McHugh, a 17-year-old Glaswegian he has been mentoring. In his long absence, Murray has surrendered the British no.1 ranking to Kyle Edmund and has slipped 29 places from the no.1 ranking he surrendered to Rafael Nadal last August, although the 31-year-old Spaniard subsequently has had his own hip problem. By the time the draw is made for the Libema Open, Murray is very likely to have fallen out of the world’s top 40 and by the time the Queen’s tournament starts he could be outside the top 150. Fortunately, Murray will have no problem getting into tournaments for the rest of 2018 because he can use a “protected” world ranking besides the potential number of wildcards that will be given to him. 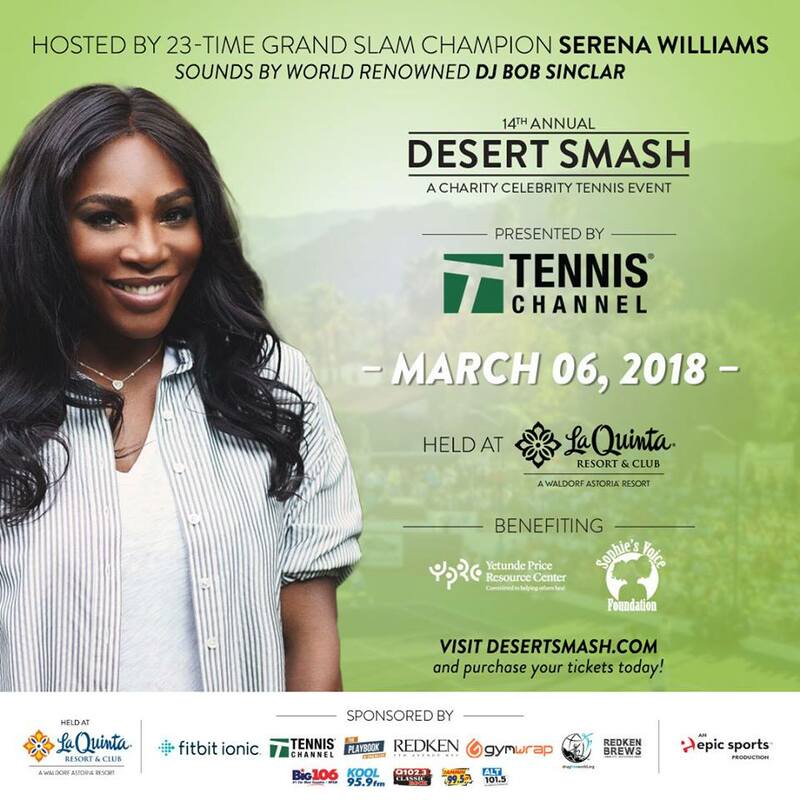 The Desert Smash is known for bringing together some of the biggest names in Hollywood with some of the world's most renowned tennis players, and this year again is no exception as one of all of sport’s biggest names is set to kick off the 14th annual event in the desert! Twenty-three time Grand Slam Champion Serena Williams is returning to the desert and will be hosting and participating in this year’s entertaining Desert Smash Pro/Celebrity Tennis Exhibition to benefit The Yetunde Price Resource Center (YPRC), founded by Serena and Venus, in honor of their eldest sister who was killed by an act of senseless violence in 2003. Its namesake, Serena and Venus’ sister, based in Compton, CA and committed to helping others heal, The YPRC assists, educates and strengthens individuals and families affected by violence and trauma. The YPRC works collaboratively with the other Southern Los Angeles based partner organizations to offer a variety of free programs in safe, healing-centered environments. In an exciting new partnership with Tennis Channel, this year’s event will take place on Tuesday, March 6th, 2018, and will be returning to the world-renowned La Quinta Resort & Club, a Waldorf Astoria Resort in La Quinta, California, where the Desert Smash originally began 14 years ago. Consistently ranked one of the top tennis resorts in the country, La Quinta Resort & Club boasts state-of-the-art tennis facilities surrounded by vibrant flower-filled patios and breathtaking views of the rugged Santa Rosa Mountains and offers nothing short of an extraordinary tennis experience. This year’s annual charity “Live-Ball” play will also be hosted by actor Boris Kodjoe and benefit Sophie’s Voice Foundation. Tennis Channel will provide Desert Smash with live national television exposure for the first time in the exhibition’s history. Live television segments along with digital and social media activity throughout the day – as part of the network’s coverage of the BNP Paribas Open in Indian Wells, Calif. – will feature event updates with celebrity and player interviews. The network is also working closely with the Desert Smash team this year to facilitate celebrity introductions and expand the exhibition’s roster of star participants. The Desert Smash Celebrity/Pro-Am Tournament is arguably one of the country's most prominent charitable set of matches, composed of ranked WTA and ATP Tour players and some of the most notable and recognized celebrity players from Hollywood. Past professional tennis participants include ATP World No. 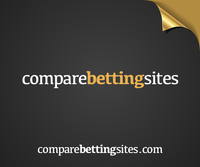 1 Novak Djokovic, John Isner, Stan Wawrinka, ATP World No. 1 doubles team Mike and Bob Bryan, Andre Agassi, Steffi Graf, Maria Sharapova, Caroline Wozniacki, Victoria Azarenka and Eugenie Bouchard. 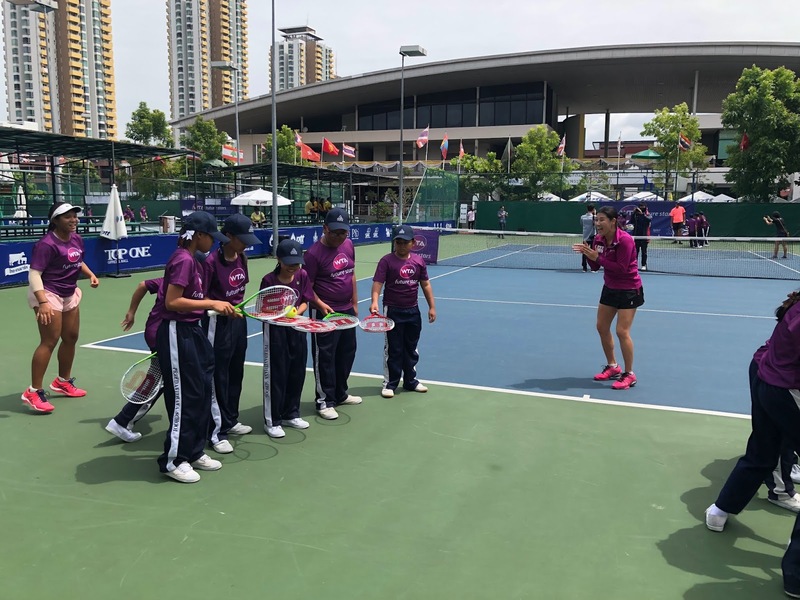 Each year, this sell-out event attracts both celebrity and tennis fans for a once in a lifetime opportunity to play and rub elbows with the world’s best tennis players. Past celebrity hosts and attendees include Will Ferrell, Jon Hamm, Kevin Hart, Rebel Wilson, Joel McHale, Michael B. Jordan, Justin Chambers, Timothy Olyphant, Lance Bass and Boris Kodjoe. In traditional Desert Smash fashion, the day kicks off with the renowned Southern California competitive, high-energy on-court workout, “Tennacity,” also known in some tennis circles as “Live Ball.” Following this fun, interactive experience is the fan favorite Pro vs. Celebrity Exhibition singles and doubles matches, which will take place on La Quinta’s picturesque Stadium Tennis Court. Following an unmatched day of tennis and fundraising, La Quinta Resort & Club will host an evening cocktail party and live entertainment with a set by world famous DJ Bob Sinclar and other to be announced surprise celebrity entertainers. Previous performances included sets by Justin Bieber, Ja Rule, Lifehouse, Nelly, Natasha Bedingfield, RedFoo, Boyz II Men, Skunk Baxter and Gavin Rossdale. 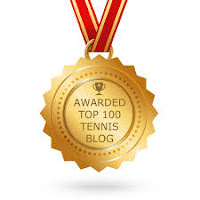 Are you a reader of tennis blogs? Are you willing to take a brief survey asking you about the role of tennis blogs in your consumption of tennis media? Dr Brigid McCarthy of the Department of Communication and Media, La Trobe University is currently conducting research that seeks to understand the particular uses and gratifications for readers of fan-created tennis blogs and the tennis reportage they provide. 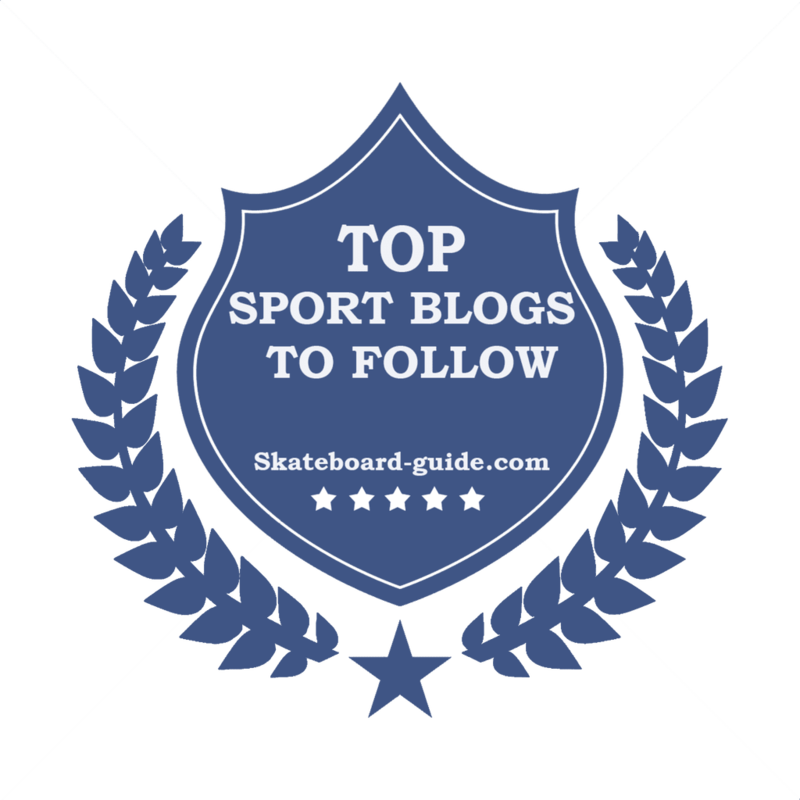 It seeks information about the diversity and frequency of consumption, how readers appraise the fan blog as a form of sports journalism, how readers engage with the content, and how the consumption might complement consumption of tennis news provided by traditional media outlets. The survey should take no more than fifteen minutes to complete. 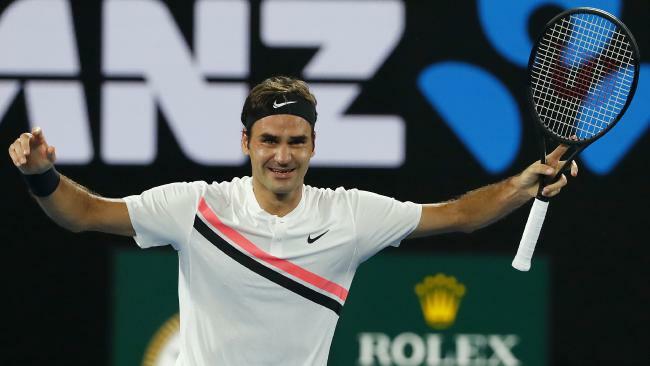 Roger Federer added another feather in his cap after his age-defying career resurgence by returning to the top of the world rankings this week after more than five years and becoming the oldest world's no. 1 at the age of 36. Beating leading Dutch player Robin Haase on his home ground 4-6, 6-1, 6-1 in the quarterfinals at the ABN AMRO World Tournament means Federer becomes the oldest player, male nor female, to top the world's tennis rankings. 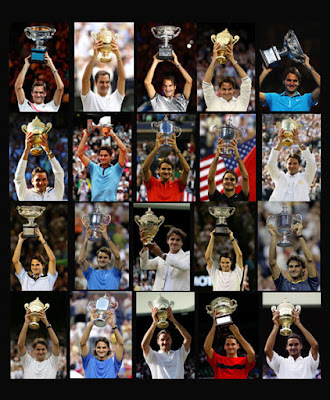 This also means that he surpasses Andre Agassi, who held the men's record at age 33. 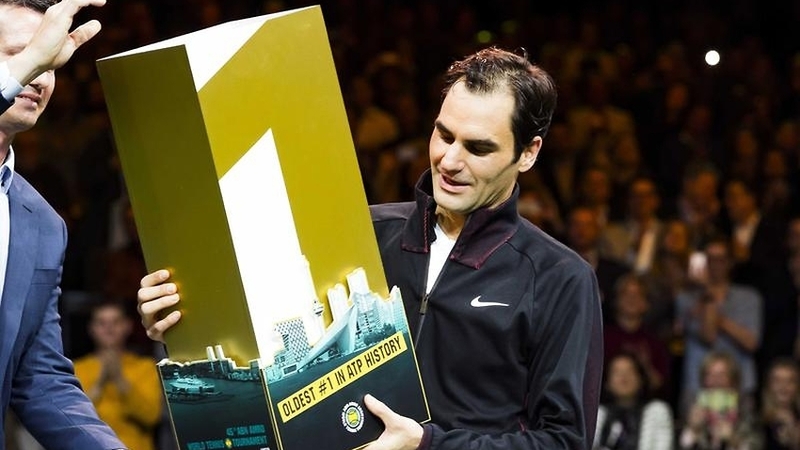 Federer will overtake 31-year-old Rafael Nadal to no.1 when the ATP rankings are updated on Monday. He will also extend his record of 302 weeks at no. 1 since the rankings began in 1973. Pete Sampras is a distant second with 286 weeks at the top. Novak Djokovic is the closest active player, with 223 weeks at no. 1. Federer now faces Italian Andreas Seppi in the semifinals in Rotterdam after Seppi beat Russian Daniil Medvedev, while the other semifinal match will feature Bulgaria's Grigor Dimitrov and Belgian David Goffin. Federer won the Australian Open in January for his 20th Grand Slam title. He had not originally planned to play in Rotterdam but accepted a wildcard when it became clear he might be able to take back the top spot. Nadal hasn't played since retired due to an injury in the Australian Open quarterfinals. In conjunction with the special day, let's us share our favorite couples, who are also some of the hottest people, in the tennis arena. This pair has been reportedly started dating in 2005 despite known each other for a number of years before. Born Maria Francisca Perello, she is a business graduate and serves as project director for the RafaNadal Foundation, the charity which Nadal launched more than a decade ago. Having in a long term relationship, they have yet to publicly announce an engagement or plan for marriage. Many people may not realise that Mirka used to be a decent tennis player herself. The Slovak-born Swiss tennis player has reached a career-high of no. 76 in the world. Both Federer and Mirka met during the 2000 Sydney Olympics and the rest, as they say, is history. They married in 2009 and have four kids (2 sets of twins!) Myla and Charlene and Leo and Lenny. There is a lot of chemistry in this Italian couple who was married back in June 2016. 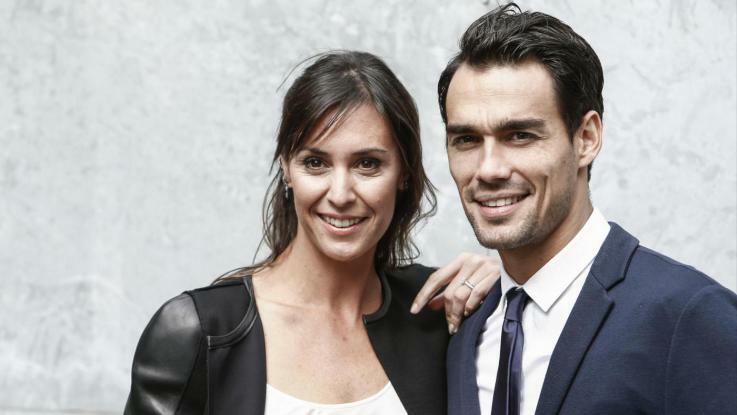 A few months later, just before Christmas, the beautiful pair announced that that they were expecting their first child, Federico. Pennetta called it quits after winning her maiden Grand Slam singles title at the 2015 US Open. During her playing days, she reached a career-high ranking of no.1 in doubles and no.6 in singles, respectively. Meanwhile, clay-court specialist Fognini remains as active on the tour. 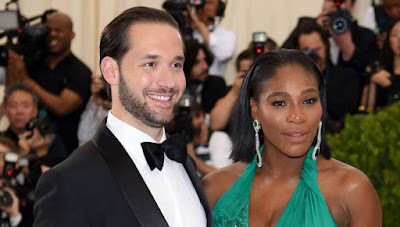 Williams and her husband, Reddit co-founder, Alexis Ohanian tied the knot at the end of 2017 after announcing their engagement in December 2016. The ceremony comes just 11 weeks after the couple welcomed their baby girl, Alexis Olympia Ohanian Jr., on Sept 1. That's almost two years after they began dating in 2015. Previously linked to Maria Sharapova, Dimitrov has dated X Factor judge Nicole Scherzinger for over two years now! Scherzinger has dated Dimitrov since her split from racing driver Lewis Hamilton in 2015. Dimitrov is 12 years Nicole's junior and the brunette went public with the Bulgarian as she was first pictured kissing him at a tournament in Australia. So, who are your favorite tennis couples? The Australian Open is currently underway and that means fans are expecting a supercharged atmosphere as their favourite tennis players battle on courts for two weeks, while commentators and critics busy dissecting statistics. 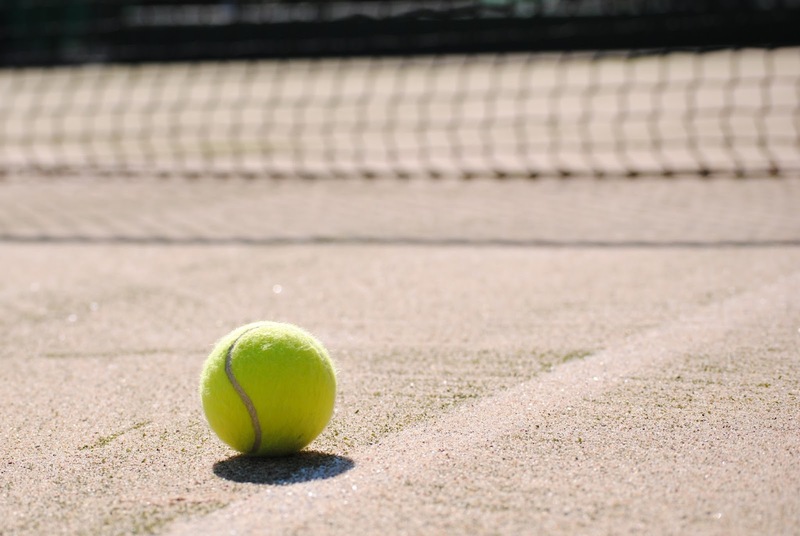 For decades tennis fans have been served with statistics such as first and second serves percentages, forced and unforced errors, winning points and not to forgetting ranking points. Watching an exciting tennis match, whether you're on court or off court, provides plenty of entertainment and adrenaline-inducing thrill. The overall experience is further enhanced with the inclusion of big data. Businesses have adopted big data, using it to increase retail sales, boost e-commerce performance and improve supply chain operations. In the sports arena, big data analytics seem like a good fit. For the past several years, it is proving an effective catalyst for transforming the fan experience at major tournaments particularly in the Grand Slams. With data captured from sensors placed all over the court, fans have the advantage of accessing to real-time statistics during a match. Many avid tennis fans love to study tennis matches by comparing the statistics of their favourite players. Big data play a significant role in helping these fans analyze the game they are following. 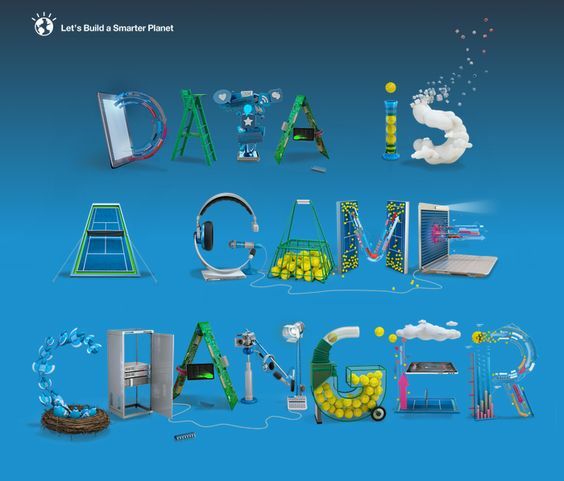 IBM has been the official technology provider for the four Grand Slam tennis tournaments for many years. 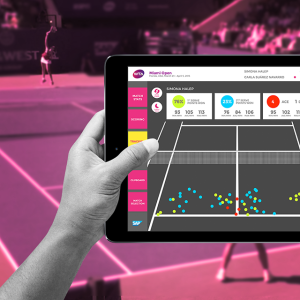 The partnership has allowed for unprecedented access to tennis scoring and statistical data that we have been feeding into Watson Analytics to find out what interesting insights we can gain about the matches and players. The amount of big data being looked at is extremely massive, with more than 50 millions data points being analyzed since 1990. The statistics measure basic information such as the speed of serves and the number of double faults to complicated and advanced data such as winners on the forehand side of the court. The in-depth analysis helps provide insights to the strengths and weaknesses in a player’s game, while also providing a predictive analysis at what may happen during and at the end of a match. Separately, tournament organizers also examine player popularity and volume of social media conversations to predict the data demands from fans viewing a tournament website and engagement on social media platforms. With the incredible analysis offered by this big data platform, it creates a remarkable effect on the overall fan experience. The insights derived from big data can be channelled to fans through data visualization. 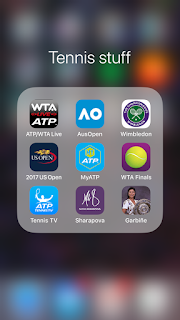 As a tennis fan, if I'm not able to stream a match or be at a live event, I can always turn to the app on my smartphone to find out the predictive analysis of the matches happening at that moment. Coupled with my engagement with other tennis enthusiasts at real time on Twitter, the experience is out of this world! 10,784 games, 68,345 points and 1,128 sets captured, analysed and distributed via the AO scoring system. All of that traffic captured requires robust cloud computing technology to ensure the entire infrastructure run smoothly during the course of the tournament. It also requires advances in network security to make sure users are protected from cyber attacks keeping their personal data safe from potentially malicious malware. While there maybe fans who were unaware of how big data has changed the way we experience tennis, they are very likely taking part in contributing to the data. 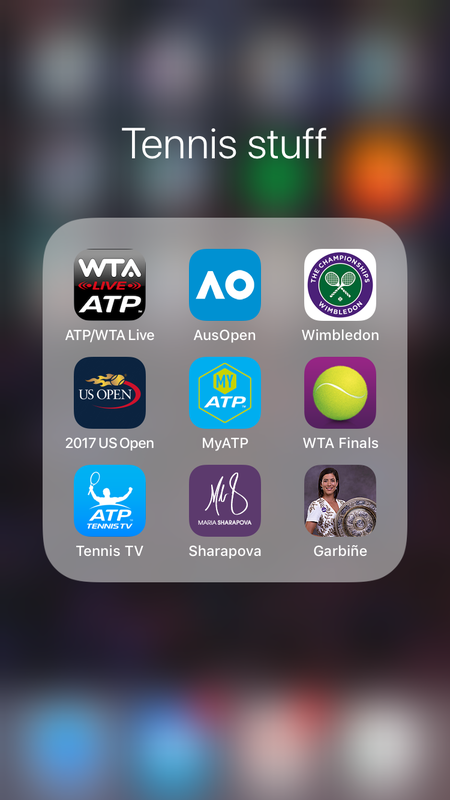 The next time you use the Australian Open app or browsing through their website, try look at the key statistics in a different perspective. Let the data be the guide to help you understand the game better and perhaps to even predict the outcome of the match before it ends. Although, bookies such as WilliamHill have the odds on current and ongoing matches, they can help you out if you're going to use data analytics for your predictions during this hard court season.